I was contemplating about it for quite some time. It’s long over due (ahem!) I was supposed to get it when my second son was born more than a year ago. The excuse is to capture the moments of my children growing up. Hey, at least I’ve got a valid reason to spend. 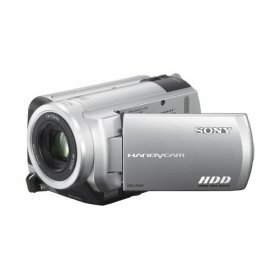 I bought a Sony DVD digital video camera last week. It was my first "hands-on research" on camcorders since I wanted to buy one. It just happened that I bumped into a roadshow on electronics gadgets (digital cameras and camcorders) and guess what I bought it without doing any comparisons! I know you’re going to tell me that I am not a smart consumer. Let me tell you why. I felt good about the Handycam: it’s small, lightweight, the latest model, it uses harddisk (no messy DVD discs that you need to carry along) and best of all I got many freebies (free tripod, hard carrying case, picnic chair, screen protector). Okay, I admit I am trying to convince you that I got a good deal. And also to justify that I deserve it. Anyway, as you may have guessed, I spent the last few days capturing fun moments with my children with the newly-acquired gadget. Of course, my 4-year old daughter is happy as she has the chance to see herself on TV. My son? He’s still too young to appreciate. But both of them are very happy and the videos create a lot of laughter. It’s quite different when you capture them on video compared to still photos. Some moments you just can’t cut it with digital cameras like walking wobblingly, the sound of learning to talk and screaming, etc. You get what I mean. I think it’s interesting to create a collection of videos that captures the growth of our children. I have yet to learn the video editing software that comes with the camcorder. May have to learn it so that I can put up a nice little family movie.